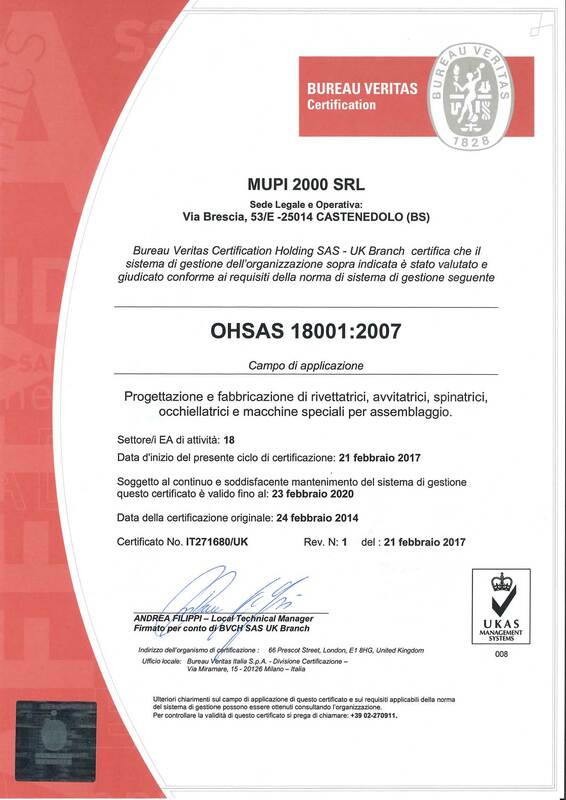 Mupi 2000 S.r.l. was born over 50 years ago opening its way in the field of self-powered riveting machines’ production. From the 80s we started shifting our attention on customized machines and the processes in which they are involved. Nowadays our fields of interest are multiple: we make self-powered riveting, spinning, eyeleting and screwing machines, automatic machines for assembly and transfer for mechanical machining. Our 100% made in Italy production is currently spread across all continents. We cover various sectors, from the assembly of early childhood products to the assembly of aircrafts’ components. 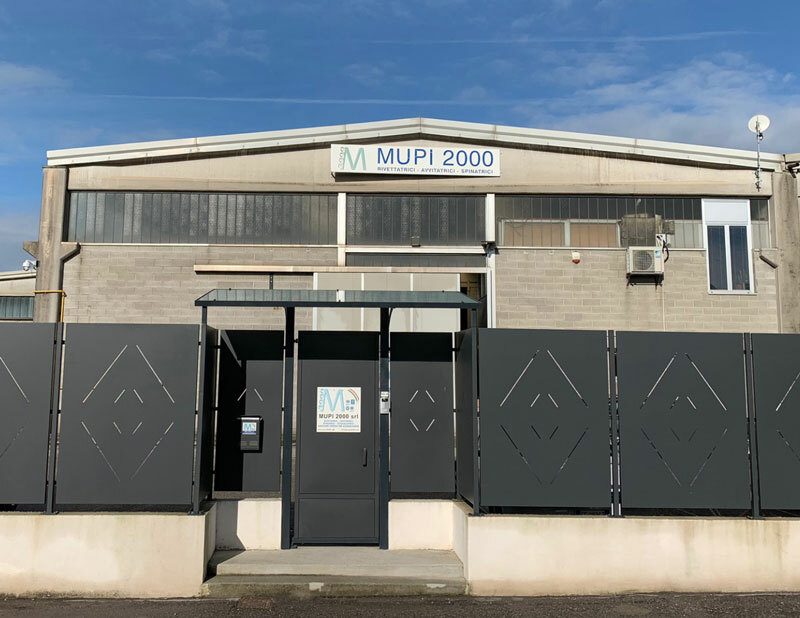 The main feature of our machines is the automatic feeding of details to insert (rivets, eyelets, pins, screws and nuts, washers, self-hooking inserts) and the quick assembly of the parts, obtained by placing them on spring centring or pneumatic centring. Following the market requirements, our production is directed in the design and construction of semi-automatic multiple machines and entire assembly lines with excellent results of increase of the productivity and saving manpower. 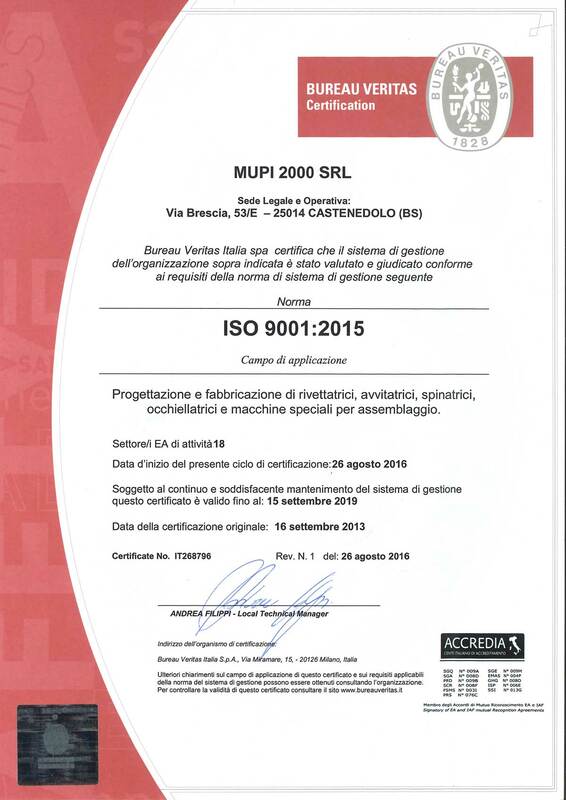 In addition to respecting the European rules in force of the finished product, we are an ISO 9001-2015 and ISO 18001-2007 certified company. This site illustrates a part of our basic production and a few significate machines that we produce. Our technical office is available for every technical detail and for searching of the most advantageous solution for your assembly problems.